Many school districts are having meetings and public hearings and votes throughout March about new science instructional materials. In some districts that have already approved their new list of science materials, there have been some controversy and close votes. In other districts, the recommended materials were approved without a fuss. Unless you know for certain your school district is safe from creationists and climate-change-deniers (and do your really know for certain?) I would recommend that you get involved. The important point here is that you need to look for your district on the list. Then do something! Fill in any gaps. Attend the meetings and hearings if they’re coming up. Find out how your district voted if the meetings already happened. Was there any opposition? On the agenda for board vote at March 19, 2018 meeting. On the agenda for board vote at March 13, 2018 meeting. The Bradford County School District is considering the adoption of instructional materials from Houghton Mifflin Harcourt (HMH) for science instruction at the elementary and secondary levels. The public review period runs from February 16, 2018 through March 12, 2018. On Monday, March 12 at 6pm, the Board will hold a workshop and hearing. The regularly scheduled School Board meeting will begin immediately after the workshop. No information could be found during a quick internet search and search of the website. School board meeting March 13 had public hearing during which no one spoke. Board approved unanimously without discussion. March 13, 2018 Public Hearing at scheduled School Board Meeting for public input related to material recommendations. Three people spoke in general support of the materials but pointed out that some potentially “controversial” topics are tip-toed around in some of the textbooks. They advocated for stronger, more detailed information. See the video at: https://livestream.com/citrusschools/events/8107536/videos/171518985 Public comments start at 59:50. April 10, 2018 School Board requested to approve recommended instructional materials at their School Board meeting. Textbooks approved at Feb 1 meeting on 3-2 vote. Unknown when board will hear and vote. The School Board of Columbia County will hold a public hearing on March 27, 2018, at 6:00 p.m., at the School Board Administrative Complex, 372, West Duval Street, Lake City, Florida, on adoption of Instructional materials for K-8 Science and High School Chemistry, Biology and Environmental Science for the Columbia County School District. The public is invited to attend. Action is anticipated at this meeting. March 14, 2018 Public review period begins. April 2, 2018 Public review period ends. April 3, 2018 Public comments will be heard at School Board Meeting. April 17, 2018 School Board approval of recommended materials. April 18, 2018 30-day period to contest adoption opens. May 17, 2018 30-day period to contest adoption ends. A public hearing will be held on February 7, 2017.
an open, noticed School Board hearing to receive public comment on the recommended instructional materials will be held on Tuesday, February 27, 2018, at 6:00 p.m., in the Joe N. Idlette-TEC Room at 6500 57th Street, Vero Beach, Florida. No one spoke during public hearing period of 2/27 board meeting. Books were adopted by school board vote of 3-1. The no vote related to cost, not content of books. The District School Board of Lafayette County will hold a Public Hearing at 6:30 p.m. during their regular school board meeting on February 20, 2018 to receive public comment on the recommended instructional materials (Science Curriculum K-12) for the 2018-2019 school year. No one spoke during the public hearing 2/20. Board voted to approve textbooks. The deadline for all reviews and comments for AP is February 28, 2018. The deadline for all reviews and comments is February 18, 2018. Unknown when board will view or vote. The Leon County School Board will hold a public hearing regarding the science materials submitted for possible board adoption. The hearing will be held on Tuesday, March 27th, at 6:00 p.m., at the Howell Center, 3955 West Pensacola Street, Tallahassee, FL 32304. At the 2/13 board meeting, no one spoke during the public hearing. The board voted to approve 5-0 the recommended books. However, three books were pulled from consideration that the board did not vote on. The public hearing for instructional materials will be held on March 19th at 4:00pm at the School Board Office at 500 E Ocean Blvd, Stuart, FL 34997. This is a list of science materials up for adoption but I can’t find a schedule of meetings/hearings. 2/8/18 public meeting to approve annual adoption plan. Webpage lists recommended materials but I can’t find a meeting schedule. Webpage lists social studies as the textbook subject under review this year. I’m not sure if this means the website needs to be updated or if this school district is actually a year behind in textbook adoptions. Board voted 2/13. No one in the public commented at the meeting. No discussion or debate during the meeting. Adopted. The School Board of Orange County will accept public comment on the 2017-18 Science Adoption Selections at the February 13th, 2018 regularly scheduled School Board Meeting. 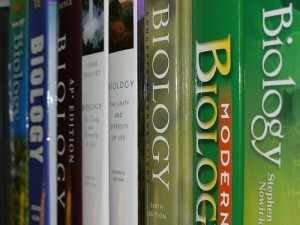 In the Fall of the 2017-2018 school year, Osceola County will begin adopting a new set of science textbooks. A committee of teachers representatives from every school, district resource teachers, and parent representatives will meet to review new texts and provide recommendations to the school board. A recommendation for the adoption of K-12 Science Instructional materials will be presented to the Osceola County School Board on April 3, 2018. The District encourages anyone interested in providing input regarding the selection of these textbooks to review student content and submit feedback by February 1, 2018. After all input is reviewed and considered, committees will submit their recommendations for adoption to the School Board for approval. Polk County Schools is under the review process for instructional materials in the K-12 science content areas. These materials will be implemented in the 2018-2019 academic school year. Science committees, that are comprised of teachers, administrators, and community members, are working together to create a consensus of the top two choices to present to the Polk County School Board in April. Preview the instructional materials that are under review. If you would like to provide feedback, please fill out the survey. Sarasota County Schools has determined the list of recommended instructional materials for adoption in Science, Grades 6-12, for implementation beginning in the 2018-2019 school year. These recommendations will be brought to the School Board for possible approval during the regularly scheduled meeting on March 6, 2018. As required by State Statute, any parent of a student attending Sarasota County Schools, or citizen of Sarasota County, may file a formal objection to any of the recommended materials within 30 days of the School Board’s approval of said materials. Formal objections may be submitted from Wednesday, March 7, 2018 – Thursday, April 5, 2018. Unknown when school board will hear and vote. The St. John’s county school district took action on Feb 13, 2018 to adopt science instructional materials. A petition period for parents and residents of St Johns county is open from Feb 14-March 15, 2018. Approved as part of the consent agenda at the March 6 board meeting. During the 2017-2018 school year, the state of Florida will be adopting materials for Science. Sumter will review its needs and will begin its selection and adoption process in the second part of the school year. The selected materials will be implemented fall, 2018. Approved at the February 20 board meeting. Open Instructional Materials Meeting MARCH 27, 2018 AT 2:00 P.M. in the Taylor County School District Administrative Complex PDR All interested individuals in the community are welcome. Board is expected to consider at March 27, 2018 meeting. Board is likely to consider at March 26, 2018 meeting. The textbook adoption committee will render its final recommendation in early April. At that time print copies of the recommended titles will be available at the Tivoli Administrative Complex, 145 Park Street, DeFuniak Springs, Florida. Anyone wanting to preview the materials should contact Cathy Hall at 892-1100, extension 1548. This entry was posted in Textbooks, Uncategorized. Bookmark the permalink. Taylor Co. SB has not posted an agenda on their website since Sep. 2017 and no minutes since Sep. 2015. I’ve emailed the Administrative Assistant to the Superintendent to find out why. I may just have to start showing up at the meetings.